Build confidence and imagination through pretend play at the Train Tables. 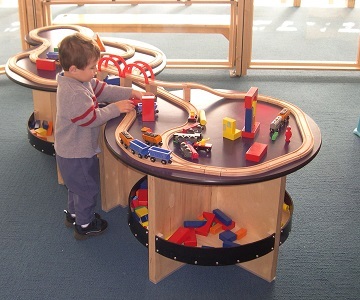 The curvy tables encourage pretend play, fine-motor skills and opportunities for social interaction. 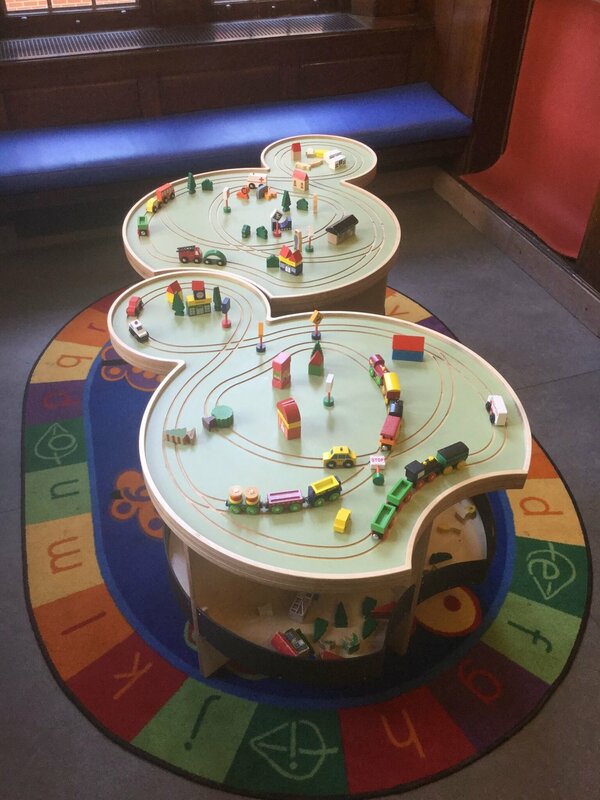 Suitable for early childhood play areas, the train tracks can be fixed to the tops or carved directly into the table top. The table bases have built in storage shelves for easy access to materials. The tables are approximately 84”L x 36”W x 24”H and made of Baltic birch plywood. The table surface can be plastic laminate, wood or another solid surface material. The tables are made-to-order and can be customized. A variety of commercially available toy cars are compatible for use with the tracks.